Lately, I’ve been feeling a little bit homesick and missing family and friends in Ontario. 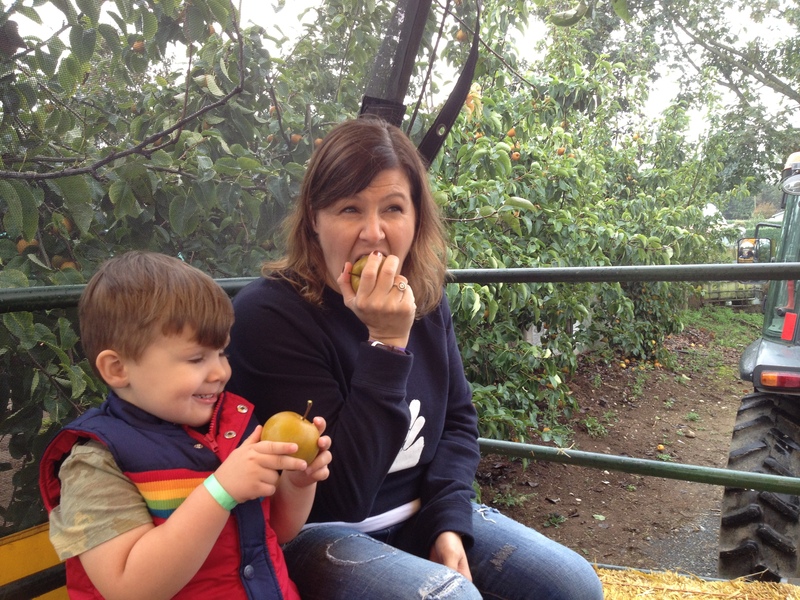 Seeing pictures of my family visiting Chudleigh’s apple orchard brought me back to those awesome times as a little kid. While those are happy memories and I had an absolute blast doing it…it made me a bit sad because I want the lion to experience the same fun and traditions I loved so much as a kid but heading back to Ontario to go apple picking just isn’t in the plans right now. So what’s a gal to do with that pouty little homesick face???? Start a google search for apple farms in Vancouver with very low expectations because it will probably redirect me to everything in the okanagan…close enough right? 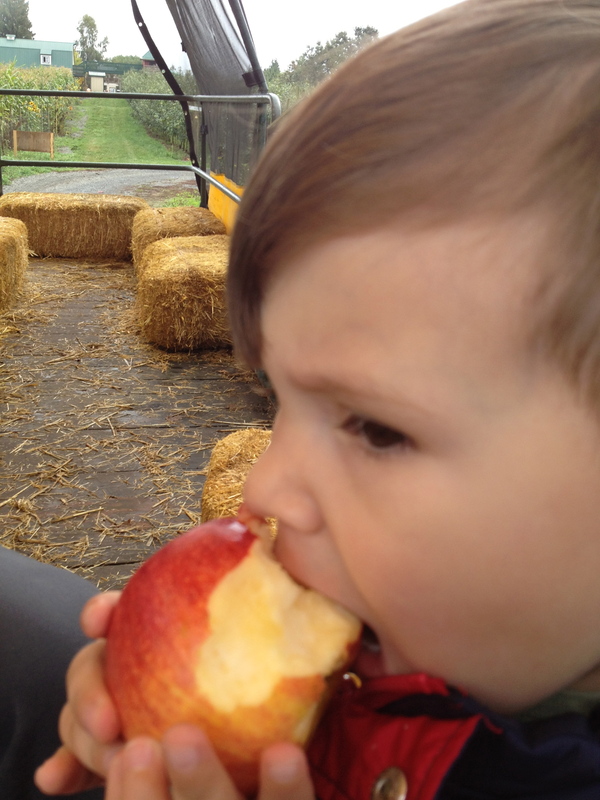 SNAP…something came up, Taves Apple Farm in Abbotsford, BC. Ladies and Gentlemen…we are in business. 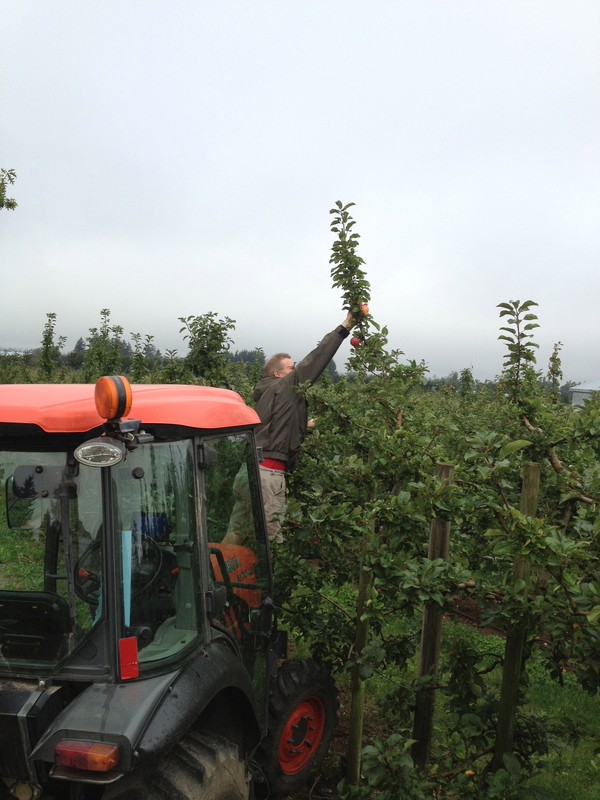 I check out their website and it pretty much answers all of my needs on the homesick check list: Can you pick apples? Check! Do they have apple cider? Check! 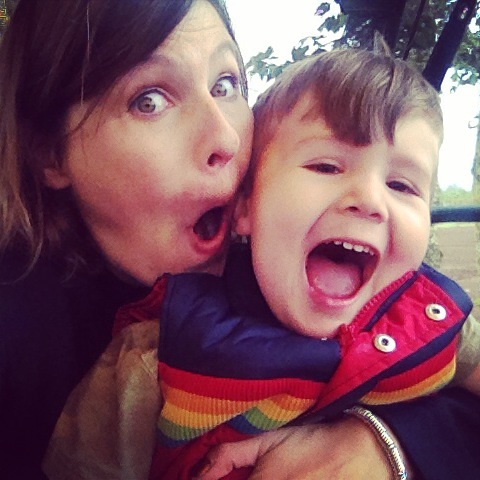 Is there stuff to do for kids? Check! Do they have hayrides? Check! YES YES YES…my apple dreams about to be fulfilled. So Saturday rolls around and we are off! We were literally the second car to pull in to the farm parking lot. I didn’t know what this meant…were we too eager? Does no one actually come here? Nope…we were just on time and prepared because in about 45 minutes time, this place was hoppin’ with loads of families with their tiny humans running around everywhere excited about all the cool things the farm has to offer. This farm seriously surpassed all of my expectations! I mean it’s pretty rare to find an apple farm in the lower mainland so right away, this is pretty cool. 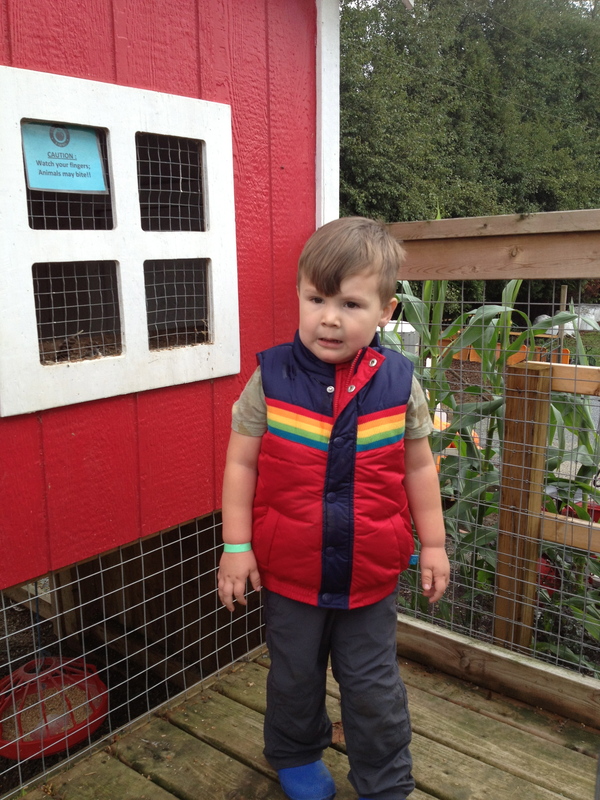 This farm has awesome stuff for kids to do, there is a petting farm with lots of cute animals (Sheep, Goats, Pigs, Rabbits)…the lion is really in to Old McDonald right now so he was pretty much singing at the top of his lungs for the whole farm to hear. They have a pumpkin and corn cannon…I repeat…A pumpkin and Corn CANNON. That’s right, you can shoot pumpkins and corn through this contraption and pretty much blast them in to intergalactic farm land…how cool is that? 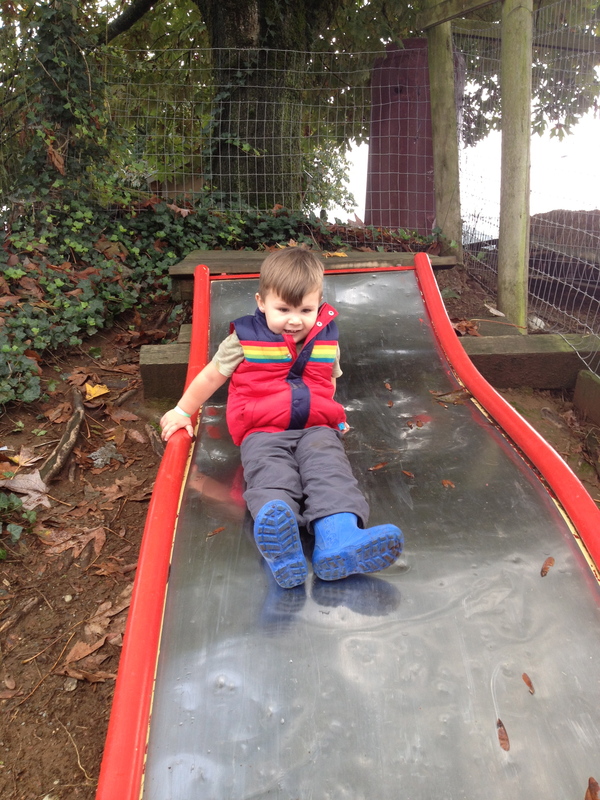 They have a few play areas for the kids with your standard park equipment and then another section in a barn that has little tractor trikes and kid sized riding lawnmowers , windy tube slides and they have a zip line. The lion was in his glory running around!! Lion meets a pony named ‘Cutie’. Note: To the parentals of tiny humans…they also have pretty awesome washroom facilities that are strategically placed in between two kids areas so getting the lion to use the facilities before the next play area was a breeze!! Well played Taves farm…well played! Okay so what does all of this have to do with food you ask? I wanted to pull on some inspiration from apples. It’s fall after all and we all know how i’m a little meh when it comes pumpkin so apples were an automatic choice for me. 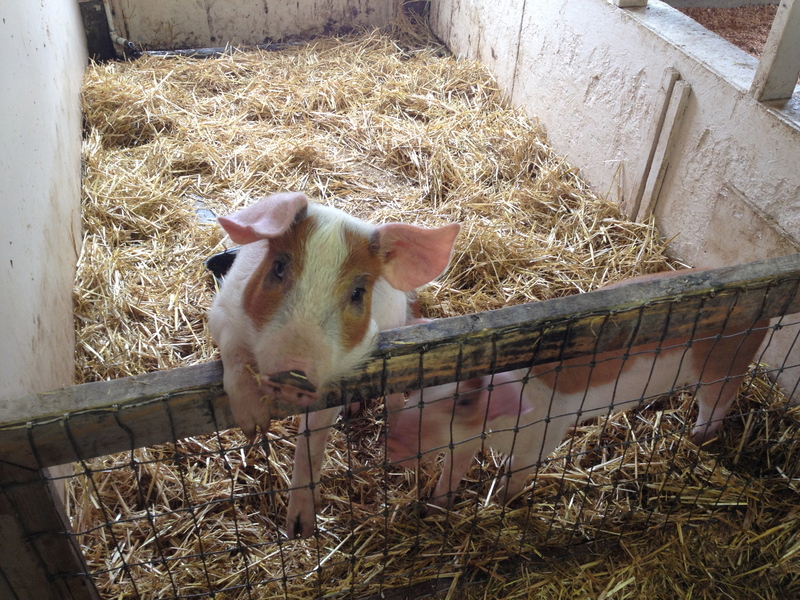 I needed to visit the farm to brainstorm because I knew something would come to me at the right moment. 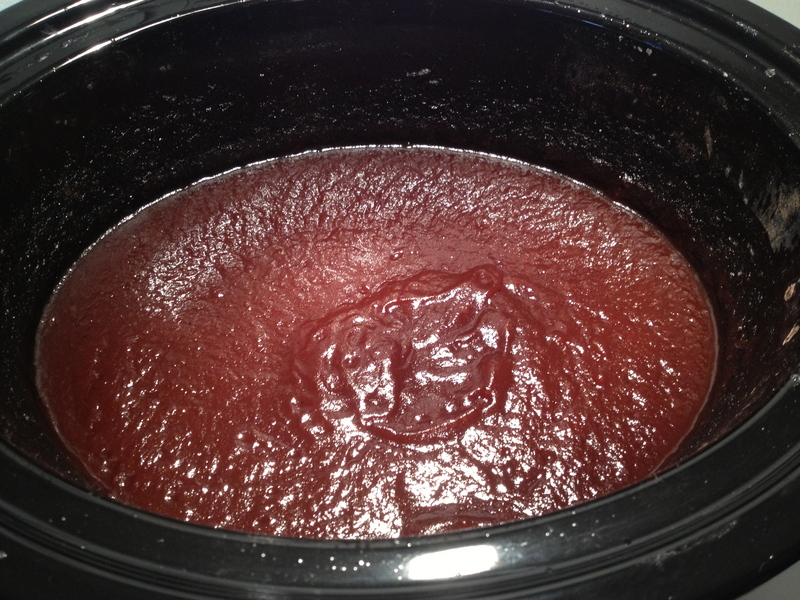 Lucky for me and for you…it did…APPLE BUTTER! That’s right, i’m setting out to make apple butter. 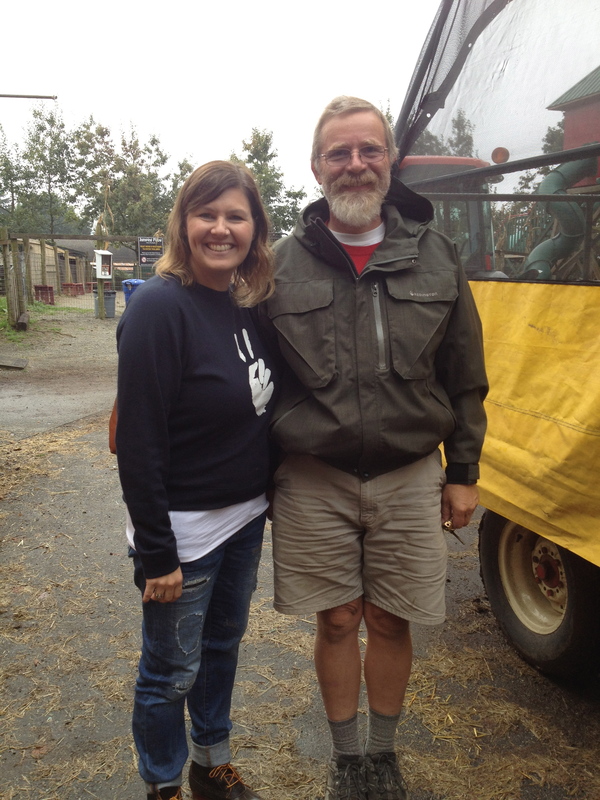 We took the lion on a hayride throughout the farm and our tour guide Fred was awesome!! This guy was so kind and took his job very seriously and I respect that!! He basically pulled us through the farm and pointed out some really cool stuff. My Tour Guide! This guy knows his apples!! First apple we got to try was this little golden beauty. What I liked about Fred is that he involved all of us in the tour. He passed out some of these tiny gems and had us try them and then asked us about it and what our thoughts were. I bit in to mine and right away it tasted like a cross between an apple and a pear. 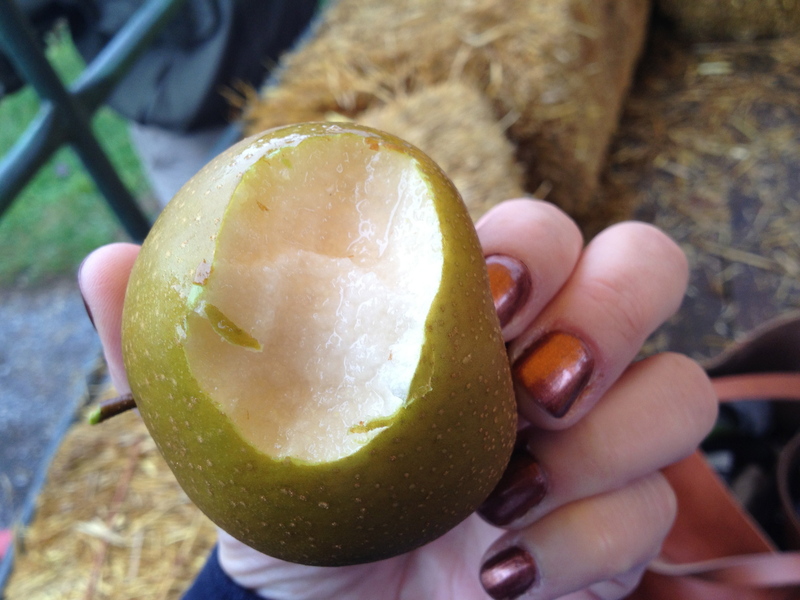 So when he asked what it tasted like…I was like that annoying kid in class that has their hand up, basically convulsing saying ‘Pick Me, Pick Me’ and I shouted out ‘It tastes like pears’…Fred smiled and said exactly, it’s an asian pear. My inner monologue suddently felt so awesome because I felt like I was on one of those palate competitions on Hell’s Kitchen and my team was depending on me to get the flavour right! To be fair, there was no team and I don’t know if anyone really cared as much as I did but I was in food knowledge heaven!! 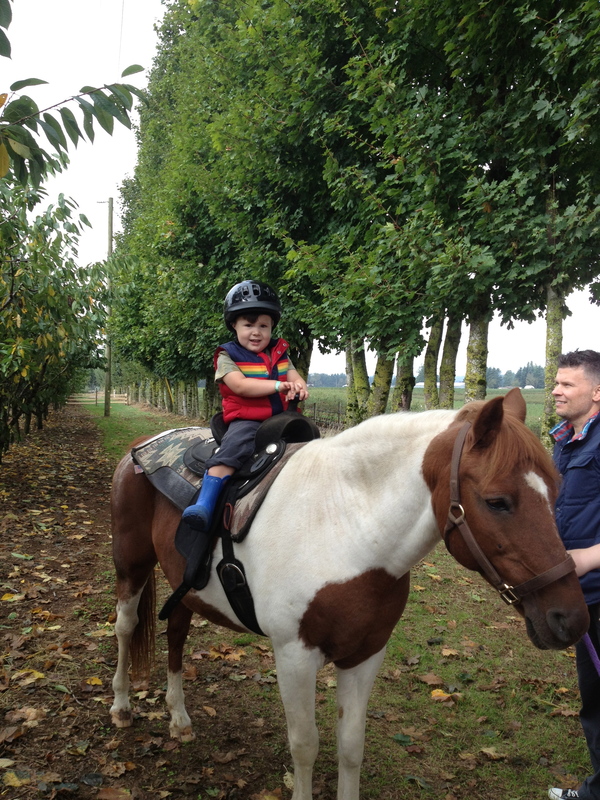 Next up we drove for a bit longer and he stopped the tractor and picked a few more apples. He handed us each an apple that I had never heard of before called an ‘Alkmene’. WOW!! This apple was crisp, sweet and delicious and I never thought I would utter these words ‘The Alkmene my just rival my beloved Honey Crisp’. Our tour guide Fred told us that this apple was actually their best apple of the season!! Lion thought the alkamene was the best one out of all the apples we tried. 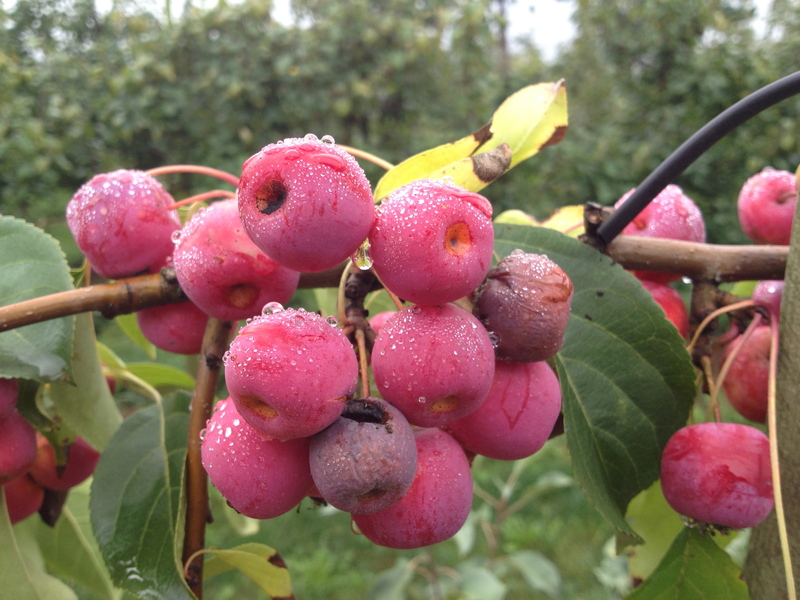 Then we got to stop and check out some fresh crab apples that they basically just use for pollination purposes. Super cool though to see them so fresh. Fred let me hop off the wagon and step in to the orchard to pick some and try them. They were cool but not for me. Kinda mushy but I would expect them to be awesome in jelly’s! All in all the tour was awesome and well worth it. I asked Fred to reach deep in to his wealth of apple knowledge and tell me what the best apple is for Apple Butter because I decided, that is exactly what i’m going to do when I get home!! 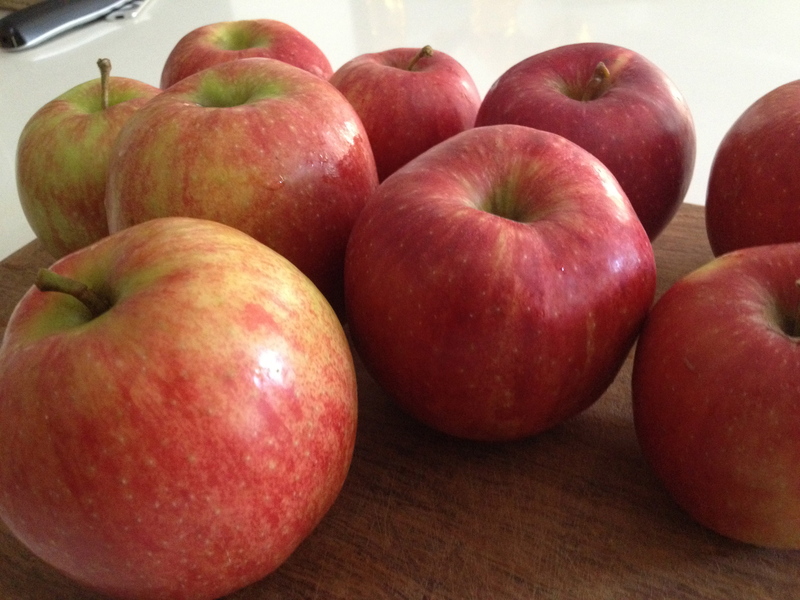 Fred told me that the Jonagold apple is a good one as it has many nuances and would be perfect for apple butter. He told me where I can pick them myself…just up the road about 200 meters they have another part to the farm, its just not connected. By the time we were leaving, the lion was crazy so we decided to just buy a few bags in the apple barn store…next time, I will go ahead and pick them but this time, I was on toddler time. 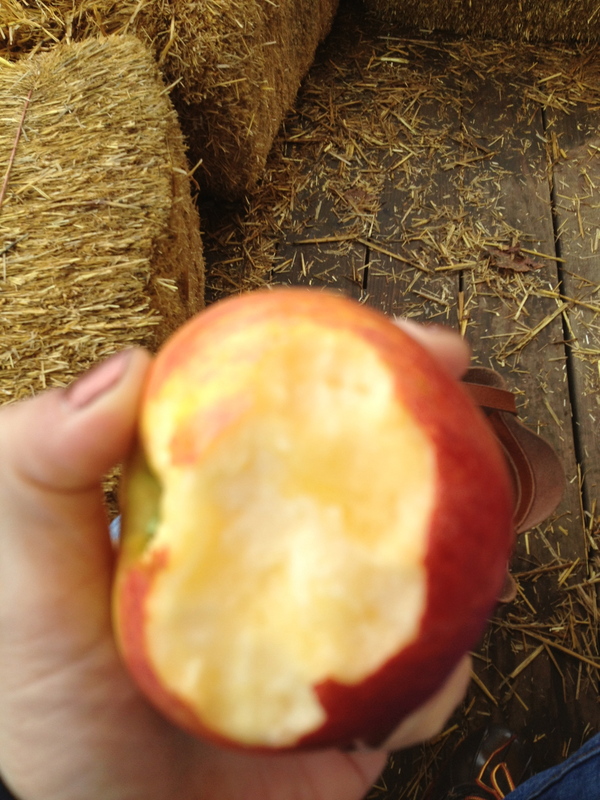 (Of course I had to sneak in some apple cider and a few bags of honey crisps as well) Come on…you knew I would!! 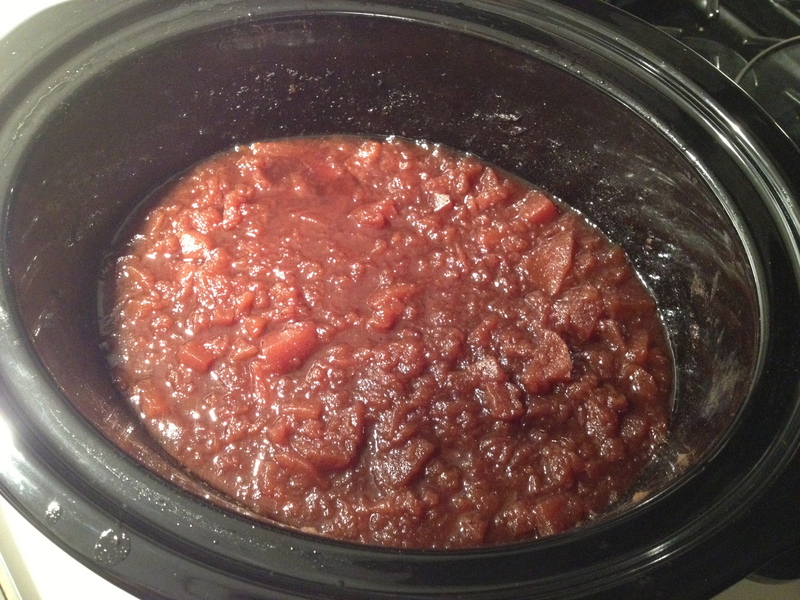 Okay so here we go with Apple Butter. What I love about this recipe is its 1) made in my crock pot and 2) You let it cook overnight so your house smells amazing and you are pretty much guaranteed to have dreams about apples and cinnamon…YOU ARE WELCOME!! 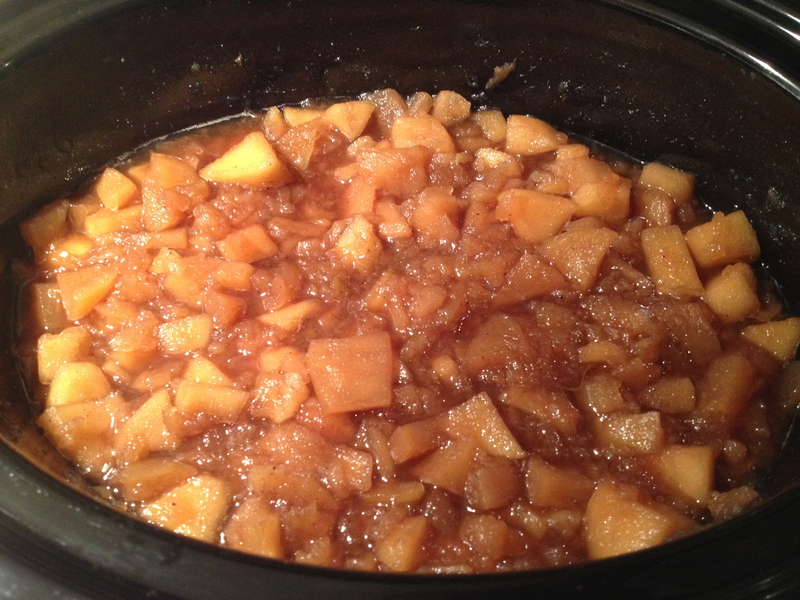 First, you want to peel, core and cut your apples in to chunks and place in your crock pot. In a bowl, mix together your sugars (brown and white), cinnamon, bit of cloves and nutmeg. 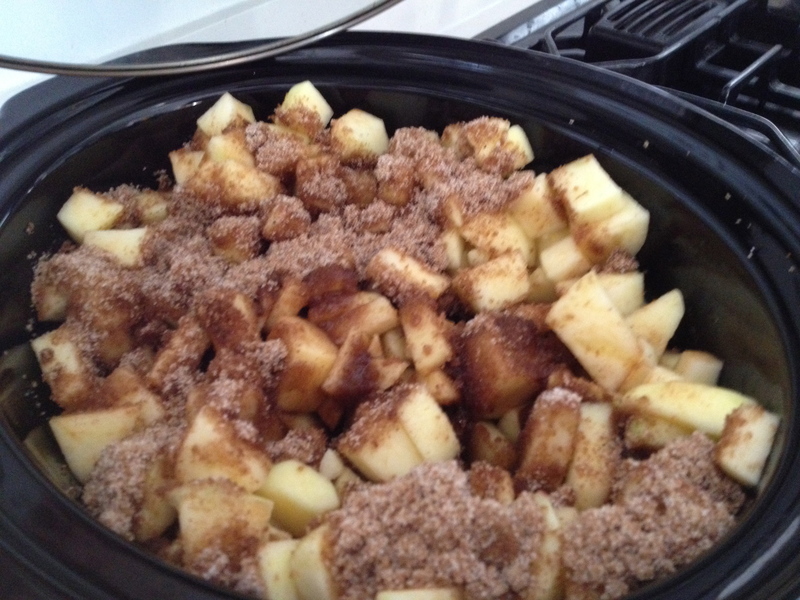 Then place the sugar mixture on top of the apples in the crock pot. Add a cup of apple cider to the mixture or water or apple juice if you don’t have cider. 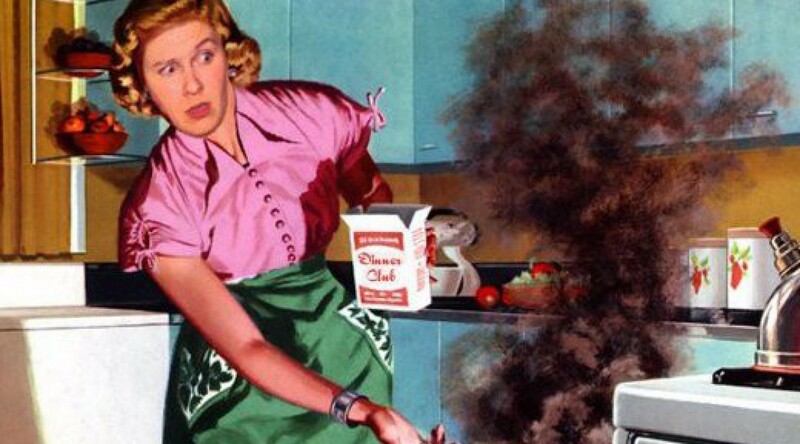 Put the lid on that crock pot, turn it on low and let it cook for 10-12 hours. Just stir it a bit after 1-2 hours to make sure its not sticking to the bottom and to mix all those spices and sugar in with the apples. Here’s what it looks like after a few hours. Sweet dreams little apples…See you in the morning. I got up extra early to check on my little buddies and here’s what it turned in to. A beautiful, thick, dark brown bowl of mush…exactly what you want. This is what it looks like after 12 hours of cooking. Good Morning and thank you for making my house smell AMAZING!! Add 4 Tbsp of lemon juice and 2 Tbsp of vanilla, and stir. Now taste the mixture to see if it’s sweet enough for you. This is really going to depend on the apples you use. If you find it is too tart…add half a cup of white sugar and half a cup of brown sugar. Stir and let cook for 1-2 hours without the lid so that the mixture thickens up and absorbs the liquid. Next, I used an immersion/hand blender to blend the mixture so that it was smooth and silky. Add to sterilized jars and voila…you are about to enjoy apples for the rest of the year. I got 7 jars out of this recipe so i’m pretty much set!! You can keep in the fridge for about a month or if you want, place in jars and freeze. Once you remove from freezer and start using, it will keep in your fridge for about a month as well. If you are brave and want to can it, go for it. (I decided to can mine but I don’t profess to be an expert so I will let you choose your own adventure and do what you please. If I messed it up and I die eating apple butter…I want you all to know, I will go out in style and if you decide you want to try and revive me and need to give me CPR, my breath will probably smell amazing). I got about 7 250 ml jars out of this batch. Pretty good for 5 lbs of apples! 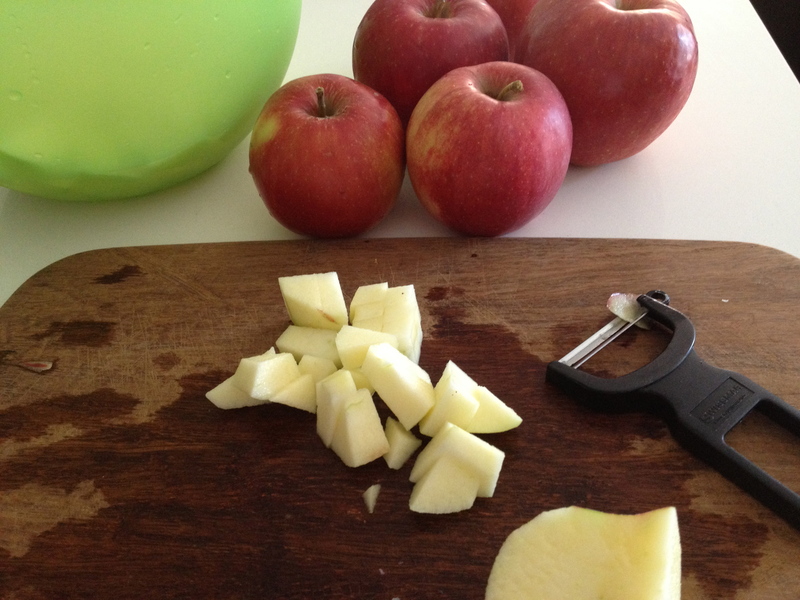 5lbs of apples peeled, cored and chopped and cut in to chunks (enough to cover your crockpot). I used Jonagold apples but you can use a variety of whatever you have on hand. Next add 1 cup of apple cider to the mixture. Place lid on the crock pot and place on low setting for 10-12 hours. *I actually started mine earlier than expected as I was heading out for the night so mine actually cooked for about 14 hours overnight. Husband stirred for me. Next morning or after 10-12 hours, give it a stir. It will be dark brown and thick. Add your lemon juice and vanilla. Give it a taste. If it’s sweet enough awesome, no need to add more sugar!! If you think its too tart, add half a cup each of brown and white sugar and stir it up. This step will totally depend on the kind of apples you are using. Let this cook for about another 1-2 hours with the lid off so that you can get all of the liquid to absorb and this butter will start to really thicken up. 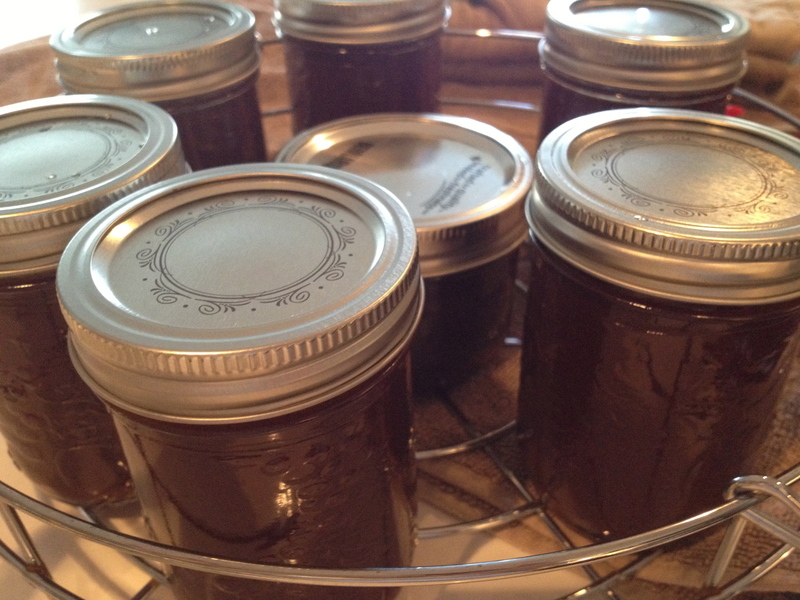 Place in to sterilized jars and either place in your fridge and/or freeze or use the proper canning method. And that’s all there is to it!! This is an easy recipe that really allows you to savour the goodness of autumn all year long. It also helps chase those homesick blues away for when you are missing fall or missing family and friends!! Enjoy this on pancakes, toast and use it in my homemade orchard harvest granola!! OMG looks like so much fun. Felt like I was there with you!!! 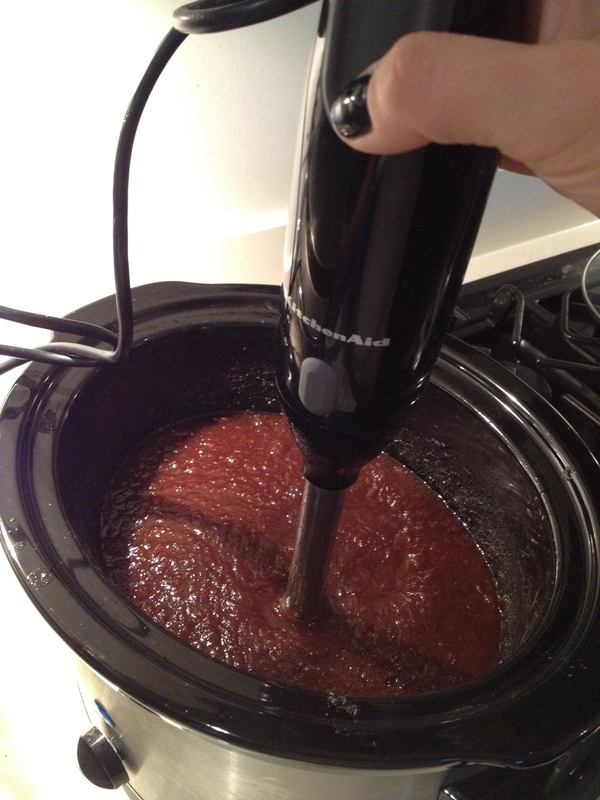 I love Apple butter thanks so much for the crock pot recipe. Since being veggie I haven’t used it much so if you have more ideas share!!!! We get apples from Myers farm in Copetown, Ontario (sorry). Mom goes by there regularly to work at the yarn store in Ancaster so I’ll put a Jona Gold order in!!! Don’t think they are ready here in Ontario for a few weeks though. Hi Everyone, an old friend of mine has started an amazing food blog. Wholesome, healthy and creative food! It’s funny too. Check it out. I love this latest autumn farm post. Can’t wait to make my own apple butter. Follow her!! Thanks for re-blogging. Don’t you worry, crock pot season is fast approaching, I am will definitely whip up some veggie stuff for you for sure. I absolutely loved this recipe! Thanks so much for sharing it! It has the right amount of spice and sweetness and is one of the best things I’ve made lately. So happy you liked it Shannon!! Now show that toast who’s boss! !